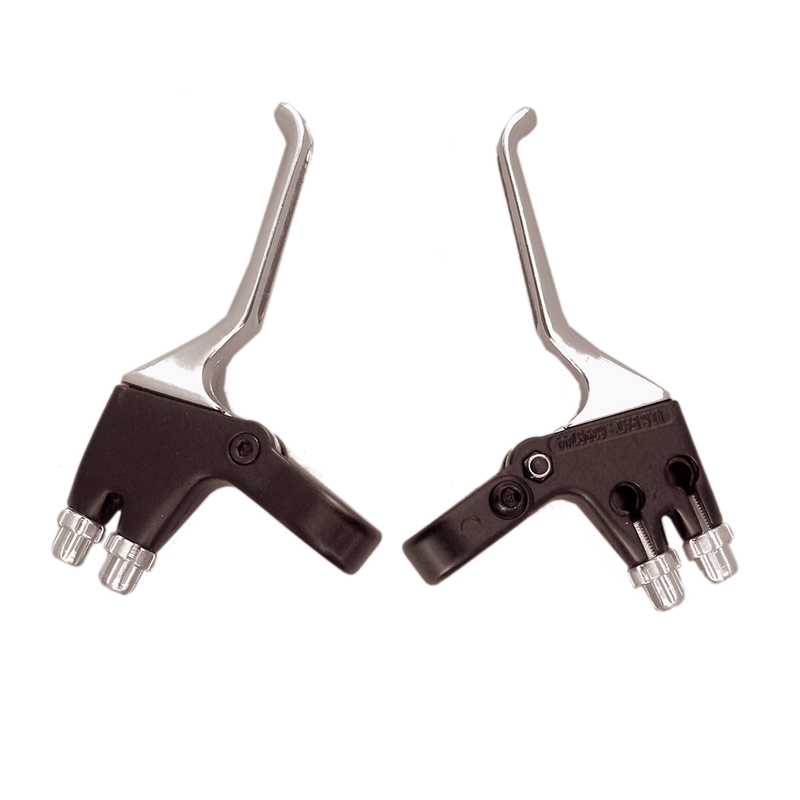 Single brake lever operates both front and rear brakes simultaneously for safety and control. Designed to fit standard diameter handlebars. Right or left mount and single-handed operation. Levers only – no brake lines provided. TRS suggests that this brake equipment be installed by a certified bicycle mechanic to ensure proper adjustment. Caution! Front brake should never be adjusted to engage before rear brake with this single-handed brake lever system. Actual brake lever style may vary slightly from photo.